Although the last couple of weeks have been slow when it comes to the Alliance regular season, the next week will be super busy as the league winds down for the holiday season. Even though season play does wrap up for the holidays, that doesn’t mean these teams and players will get some time for rest and relaxation. The majority of the Alliance teams will be heading down for the Toronto Marlies Holiday Classic, one of the top tournaments of the season. While the tournament won’t have any impact on the rankings, the slow period does give some time for other project. Most importantly, look out for the Alliance Scout Top 25 player rankings to be released in the final week of December. The initial list will then be updated in February and a final ranking released just prior to the OHL Draft in April. Housekeeping out of the way, here are the latest and greatest team rankings. London Jr. Knights (1) – London has begun to pull away in recent weeks as their lead atop the standings continues to grow. Coming off some big wins over Lambton this past weekend, the Jr. Knights have just one game this week but it is against a Sun County team that tied London 1-1 in their previous meeting. Waterloo Wolves (2) – The Wolves had a good showing in the Gold Puck tournament, making it to the semi-finals before falling to the Mississauga Senators. The Wolves have a three game weekend coming up with games against the Chiefs, Jr. Sting and Lakers. Waterloo will hope they can extend their current seven game winning streak. Kitchener Jr. Rangers (3) – Now sitting in 3rd spot in the Alliance, Kitchener had some good games in the Gold Puck including a tough 2-0 loss to the Toronto Young Nationals. Kitchener hosts Hamilton on Saturday and while forward Justin McCombs may not be back for this weekend, the hope is that he will be healthy enough to return for the Marlies tournament in two weeks. Cambridge Hawks (5) – The Hawks are currently apart of the cluster of teams battling for the final home spot in the playdowns. Some would say the Hawks have underachieved this season, holding the 3rd best offense and 3rd best defense so far this year. Cambridge has a big game in Windsor on Saturday afternoon that will be key in determining the shuffle. Windsor Jr. Spitfires (6) – Though Windsor didn’t have the best weekend at the Gold Puck tournament, their play in the regular season has tilted more positive. Their last game was a huge 6-2 win over Elgin-Middlesex. With Cambridge and Brantford on the docket this weekend, a four point weekend is within their grasp. Elgin-Middlesex Chiefs (4) – The Chiefs had a fantastic weekend at the Gold Puck, losing in the semi-final to eventual champion Toronto Titans. They have added a new offensive weapon as of late with Jake Weston playing forward and playing incredible at that. Games versus Waterloo and Hamilton will show whether they can carry that tournament momentum forward. Hamilton Huskies (7) – Having gotten the chance to view the Huskies recently, their improvement since the beginning of the year is very apparent. In their loss to Cambridge, Hamilton forced Jet Greaves to make some big stops that could have been the difference. A three game weekend with Kitchener, Lambton and Elgin on tap, the Huskies could gain ground on the next tier of teams with a four or six point stretch. Sun County Panthers (8) – The Panthers had a huge game against London last week, coming within minutes of defeating the top team in the league before settling for a tie. While that was a big step for the club, Sun County still has just one win in their past ten games and are in a real dog fight for the final playdown spot. Games with Chatham-Kent and Brantford this week will really solidify the picture heading into the holiday break. Brantford 99ers (10) – Don’t look now, but the 99ers are on a serious roll at the moment. Ever since their trip down south, Brantford has been quietly picking up points in the standings. A tie with the Chiefs and a win over Chatham-Kent has put Brantford right in the playoff picture. Even in their 2-1 loss to the Wolves Monday night, they played a very solid game. The 99ers get Windsor Friday night before a big game with the Panthers Saturday. Chatham-Kent Cyclones (9) – The Cyclones are getting healthy and it couldn’t be coming at a better time. At one point having at least three players out with injuries, top prospect Grayson Ladd returned once again last week and appears to be ready to go for the final stretch. Chatham has a busy week with games against Sun County, Huron-Perth and Cambridge all scheduled. As stated above, the Panther/Cyclone game will be big for the standings. Lambton Jr. Sting (11) – The Sting didn’t have the easiest, nor the prettiest weekend. After a shutout home loss to London, the Jr. Sting then travelled to London Monday night and promptly fell 11-1, moving their total goals allowed this season to a cool 134. Lambton has just six games remaining this season and this week will feature visits to Hamilton and Waterloo. Huron-Perth Lakers (12) – While the results don’t scream success, I thought the Lakers played very well at the Gold Puck tournament. A 1-0 win over Windsor in their final game could give the Lakers some hop in their step in the short term. Huron-Perth will try and snap their seven game regular season losing streak Saturday when they visit Chatham-Kent. 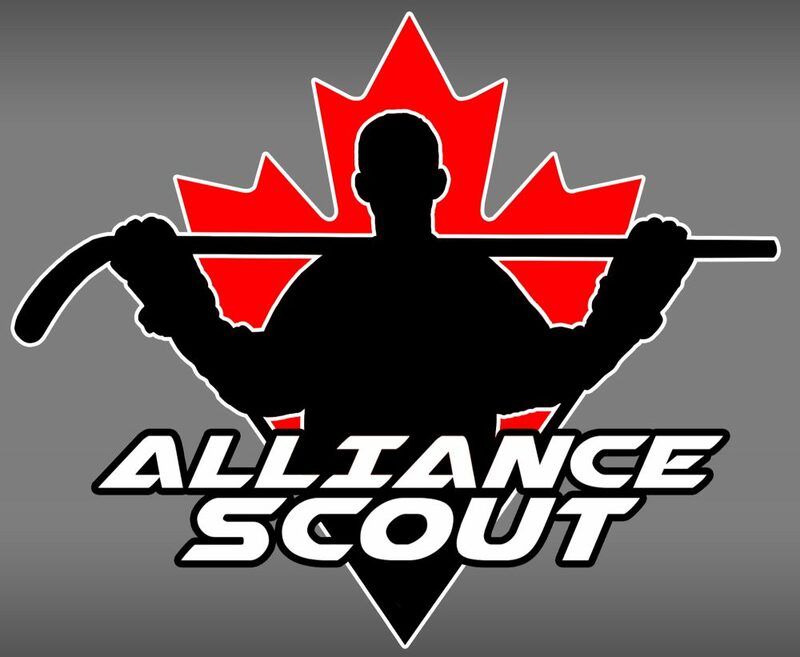 This entry was posted in Alliance Rankings, Alliance Scout, Brantford 99ers, Cambridge Hawks, Chatham-Kent Cyclones, Elgin-Middlesex Chiefs, Hamilton Huskies, Huron-Perth Lakers, Kitchener Jr. Rangers, Lambton Jr. Sting, London Jr. Knights, Sun County Panthers, Waterloo Wolves, Windsor Jr. Spitfires and tagged Brantford 99ers, cambridge hawks, Chatham-Kent Cyclones, elgin-middlesex chiefs, Gold Puck Tournament, grayson ladd, hamilton huskies, huron-perth lakers, jake weston, jet greaves, justin mccombs, Kitchener Jr. Rangers, lambton jr. sting, london jr. knights, mississauga senators, sun county panthers, toronto marlies holiday tournament, toronto titans, Toronto Young Nationals, waterloo wolves, windsor jr. spitfires by Dave Coulson. Bookmark the permalink.